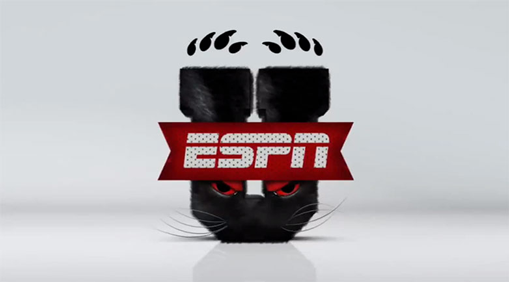 ESPNU and design agency National Television teamed up to create a promotional campaign centering around morphing the cable network’s logo into 3D, photorealistic animated renditions of college team mascots. Although it’s been in use for some 18 months, this campaign is definitely worth a look if you haven’t seen it yet. The campaign incorporates the tagline “Never Graduate” with the network’s letterman jacket inspired logo rendered as playful versions of a large variety of mascots. Check out the animated versions below or visit a gallery of images here.